After Duke’s loss to Florida State on Wednesday, just four unbeatens remain: Ohio State, Kansas, Syracuse and San Diego State. Let's take a look at each undefeated squad's resume up to this point, as well as their respective remaining schedules, to assess which will be the last one to lose. Ohio State: The Buckeyes were absolutely annihilating teams prior to Big Ten play, winning each of its non-conference games by double-figures. Included in those victories were Florida and Florida State – both on the road. In conference play, though, Ohio State has struggled to put teams away, beating Iowa, Minnesota and Michigan by an average of just four points each and allowing all three to get back into the game late. Ohio State should be able to cruise through its next two games, home contests against Penn State and Iowa. After those two, though, the Buckeyes head to Illinois and also have to face Purdue at home just three days later. Ohio State might not be able to get through those two games, but if they do, the Bucks don’t play another top-five Big Ten team until mid-February. 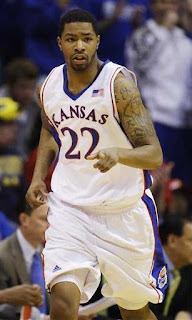 Kansas: The Jayhawks went undefeated without Josh Selby, and have only kicked it up a notch with him in the fold. They own wins over Arizona, USC, Iowa State and Memphis, and additional road wins against Michigan and Iowa State. They have been susceptible at times, though, struggling to put away Michigan and Iowa State on the road, barely beating UCLA and needing late-game heroics from Selby to stave off USC. The Big 12 is fairly loaded at the top this season, which means the Jayhawks are going to be tested. They get Nebraska at home on Saturday, but then have to head to Baylor to face a Bears team who can match the Jayhawks’ size and has LaceDarius Dunn. After that comes Texas at home, Colorado on the road and then Kansas State at home. Although the two best are at home, it will be tough for Kansas to get through this five-game stretch. Syracuse: The Orange are notorious for never playing road games until January, and it was the same this season. With that said, they have already beaten Michigan State, Notre Dame, North Carolina State, St. John’s and Seton Hall, with the last two coming on the road. Unlike some of the other unbeatens, though, they haven’t been running teams out of the building – seven of their 17 wins have come by single-digits. Considering Syracuse has to play the two biggest threats in the Big East in the next nine days, the Orange might have the toughest stretch. They do get a one-loss Cincinnati team at home on Saturday, but then need to go to Pittsburgh in a huge showdown. Villanova comes to the Carrier Dome next weekend, followed by Seton Hall. After that is a trio of road games against Marquette, Connecticut and South Florida. Sounds brutal. 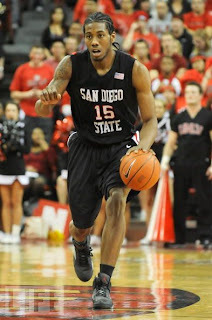 San Diego State: The biggest surprise of the unbeatens, San Diego State also has the most wins in the country, with 18. The Aztecs own wins over Gonzaga, Saint Mary’s, Wichita State, California and UNLV. Although it might not be the most impressive collection of wins, San Diego State also has six road wins and another four on neutral courts. They have struggled in first halves, but their second-half performance has been fantastic this year. Obviously San Diego State has the easiest conference schedule of any of the undefeated teams, but the Aztecs have tough sledding for the next couple of weeks. They have a road game this weekend against New Mexico. If they get past that, they get Air Force at home but then have to travel to BYU to face Jimmer Fredette and the Cougars. That’s going to be the toughest game the rest of the way for SDSU. If they get past that, all bets are off. Which is the best bet of these teams to win the national championship? 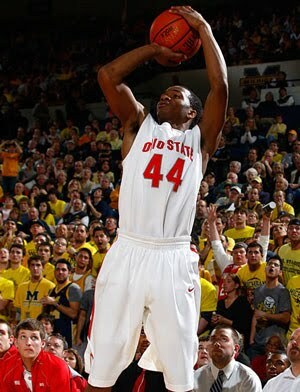 I would have to say Ohio State – the Buckeyes have the inside-outside balance to score against any defense and lock down opponents at the other end of the court. Despite that, it doesn’t mean Ohio State is the best bet to be the last one standing in the undefeated circle. I don’t think any of the four will last until February without losing a game: I foresee Ohio State falling on Jan. 22 to Illinois; Kansas on Jan. 17 to Baylor; and Syracuse on Jan. 17 to Pittsburgh. I also think San Diego State will lose in the next three games, but the Aztecs don’t face BYU until Jan. 26. Therefore, I think that San Diego State will be the last unbeaten remaining when the dust settles.